The 17-year-old winger is heading for Goodison Park after just 14 top team appearances. 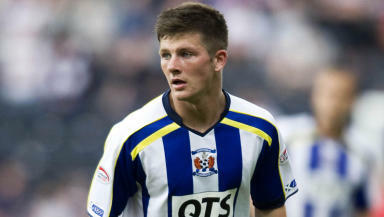 Kilmarnock have agreed to sell Matthew Kennedy to Everton, with the young winger signing a three-year deal with the English Premier League side. The 17-year-old, who has made 14 appearances for Killie's first team, will head south for a fee STV understands to be in the region of £200,000. Kennedy, a winger, was subject to an offer from Everton earlier this week and had also been attracting interest from Chelsea. He had played three times for Kenny Shiels' side this season, starting on each occasion.